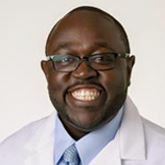 Dr. Berry Pierre provides both inpatient and outpatient care for adults in his internal medicine practice. His clinical interests include management of acute illnesses, chronic health concerns such as hypertension, high cholesterol and diabetes management, preventive medicine and physicals as well as general medical care and procedures. Dr. Pierre received his Doctor of Osteopathic Medicine degree from Nova Southeastern University in Davie, Florida where he also earned a Masters Degree in Public Health. He went on the complete his Residency training at Columbia Hospital in West Palm Beach, Florida. He recently joined T. Leroy Jefferson Medical Society in the spring of 2015, and is also a member of the American College of Physicians, Florida Osteopathic Medical Association and the Palm Beach County Medical Society. Dr. Pierre is fluent in both English and Creole, enabling him to reach a broad range of our local population. Patients are seen Monday through Friday by appointment.